James L. Karl II, managing attorney: After graduating with honors from Washington College in 1978, James L. Karl, II attended Oxford University where he studied jurisprudence under the tutelage of H.L.A. Hart. He then attended Cornell Law School where he graduated in 1983 with a J.D. in law with a specialization in international business. He followed by working in the litigation department for the law firm of Rogers & Wells (now Clifford Chance, LLP) in New York City. James L. Karl, II assisted the Gerald Ford campaign in New York where he pursued voter fraud lawsuits on behalf of Republican candidates. He has also represented Fortune 500 companies in various matters including commercial, securities and real estate litigation. 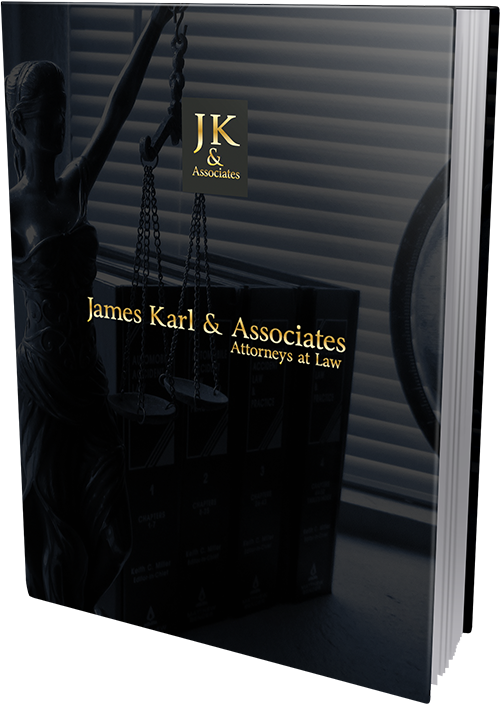 James L. Karl, II formed James Karl & Associates, P.A. in 1989, and has served clients in New York, Connecticut, Massachusetts and eventually Florida continually since in the areas of Real Estate, Business Law, Litigation and Estate Planning. Scott Shigley, paralegal, has worked for James Karl & Associates, P.A. for 27 years assisting its attorneys in business matters including corporate formation, contracts and licensing. Scott is a graduate of Northwood University and has hands-on business experience developed while running a substantial business operation, including personnel management, purchasing and compliance. Scott also has knowledge of the court system and American Arbitration Association dispute resolution procedures and practices. Cheryl Kip-Mourning has been a real estate transaction paralegal for 28 years, assisting James Karl & Associates, P.A. since 2007. She has expertise in all facets of real estate including closings, title work, land trusts and deeds, in regards to both commercial and residential estate. At the firm, she assists the attorney in providing a smooth, streamlined closing for transactions and title issuance. Tobias Tully is an estate planning paralegal and IT consultant to James L. Karl, Esq., providing assistance in the preparation of estate planning documents and probate pleadings. He has a Bachelors of Arts in Managment with a concentraion in Information Technology from Lewis University. He has experience in the judicial system as well as the vast resources information technology offer the legal system in the estate planning area. Tobias has also run a substantial business operation where he provided day in/day out executive duties as well as technological expertise involving system administration, computer networking and utilizing the internet to keep business models current.